Heavy Planet : Album Review: Miss Lava - "Red Supergiant"
Album Review: Miss Lava - "Red Supergiant"
MISS LAVA - "RED SUPERGIANT"
After a scorching 2012 in which Small Stone Records had released well over a dozen new albums from their superstar stable of rockers, 2013 has started off a bit more slowly, until now that is. 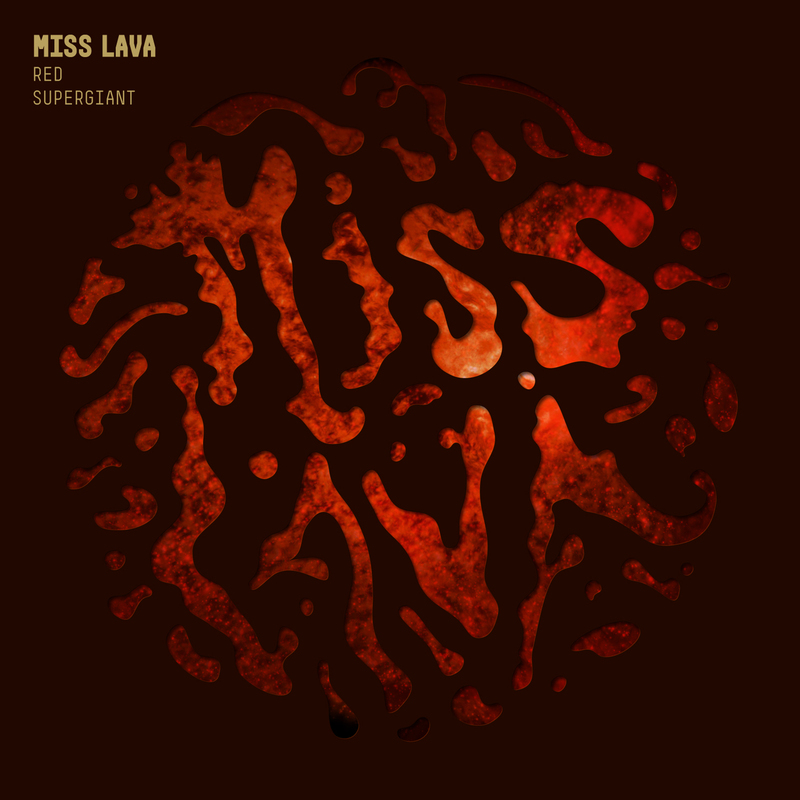 New signing Miss Lava is on the verge of releasing their second full length album, and first on the Small Stone label, "Red Supergiant". This album should become an instant classic in the stoner rock world, filled to the gills with eleven finely crafted throwdowns that epitomize quality metal music. Miss Lava hails from Portugal, a country not necessarily known for its stoner rock breeding grounds but one that might surprise you with the community of low tuned metalheads rocking to the rumble and roar of real rock, with Miss Lava undoubtedly leading the way. In fact, the sound this quartet of talented torchmongers have crafted for "Red Supergiant" is top shelf incredible, blending the best of low tuned mega riffs, scorching solos, booming bass undercurrents, and memorable hook laden melodies. These gatos maniaco know how to both forge music of the finest craftsmanship, as well as to execute their handiwork in a display of impeccable showmanship. To top it off, out of eleven songs on the album, these rockers have managed to craft more than a few, or even a handful, of high caliber numbers, creating a full contingent of mouth watering exploits to be regularly and thoroughly enjoyed. While Miss Lava do not, in any way, sound like some sort of Kyuss cover band, the sound they have crafted is of a similar type, one that blends perfectly the heavy rumble and roar of classic stoner sounds with clever musicianship exemplified by striking melodies and memorable hooks. To top it all off they have managed to bat a perfect .1000 on "Red Supergiant" by including eleven songs in which each stands on its own as a beacon of rock quality. The album opens with "Desert Mind", immediately demonstrating their penchant for both the rumble and roar of mega riffs from guitar and bass while vocalist Johnny Lee leads the way on melody and memories. "Lay Down" and "Feel My Grace" keep the tempo at a brisk pace, putting those growling guitar riffs through their paces. The overarching tone on "Ride" is more somber than its predecessors as the stoner sound comes through in a huge way. "Crawl", too, creates a dire atmosphere of smoke and darkness permeated by distant thunder. One of the most poignant, well crafted, and memorable songs comes in the form of "Hole to China". The tempo picks back up in a big way with "Catch the Fire" a romp of monstrous proportions. "Murder of Crows" and "Motel Neon" blast and bomb away with a force of joyous fury, while "Yesterday's Gone" deals another haunting jaunt through bog and mire. The closer is the title track "Red Supergiant", which wastes no time in proving worthy of the gargantuan moniker by dealing out mammoth licks that grow in intensity as it builds to the inevitable climax to song and album. Small Stone Records has a knack for finding quality bands and sharing their tunes with those of us that enjoy the lower, richer end of the metal sound, but also enjoy quality melodies and memorable stretches of music. Miss Lava are a welcome addition just as "Red Supergiant" is a welcome rendition.